Lifetime Achievement Award honours individuals who have played an integral role in advancing the pork industry in Alberta and celebrates their long-term commitment and unwavering dedication to the industry. Farm Team Award recognizes the farm unit which operates in an exemplary manner through commitment and longevity of the staff with virtues of hard work and cooperation, celebrating dedication of the team toward working together for the success of the farm. 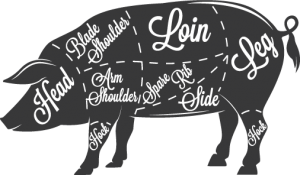 Pork Industry Ambassador Award honours individuals or companies whose efforts reflect a commitment above and beyond the accepted expectation of the pork industry in Alberta. It recognizes individuals or companies whose actions have become a valuable asset to the pork industry and acknowledges those whose actions have become models for peer recognition.